Lelouch of the Rebellion Wallpaper: With you . 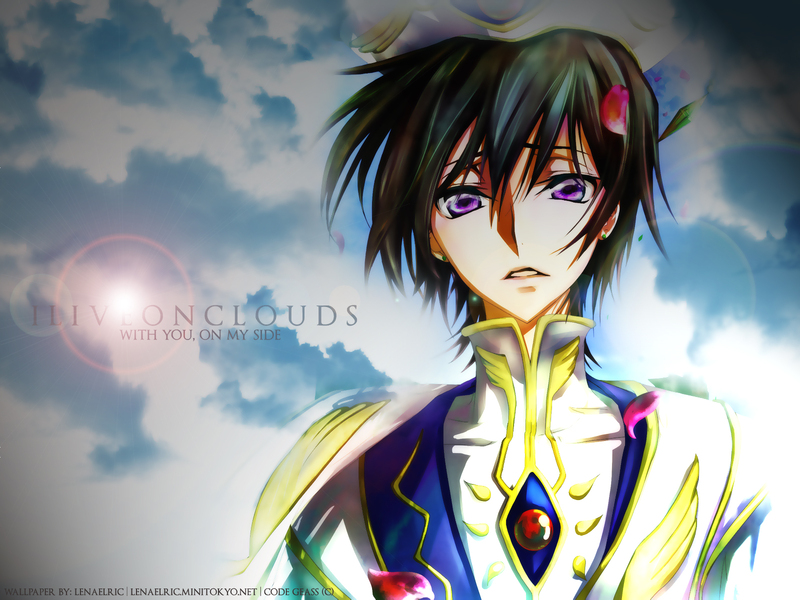 . .
Minitokyo »	Lelouch of the Rebellion Wallpapers » Lelouch of the Rebellion Wallpaper: With you . . .
And, i put clouds in background of wall, after i put in overly ^_^ to stay with an air of real clouds. mostly, I put overly to look better. I recommend this effect to anyone who likes to leave the scan with more quality. And I also put an end doll, which left the wallpaper with higher quality still and the clouds too. que genial! <<<<<<<<<<<<<<<<<<<<>>>>>>>>>>>>>>> muchas gracias! Lelouch looks so sad! Kawaiisou na hito! Great wall, Thanks A LOT for sharing! Ahhh, moe moe. Thanks so much.